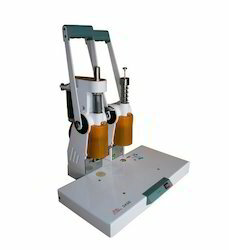 Being a leading firm in this industry, we are offering a high-quality range of Pneumatic Eyeletting Machine. NEW MACHINE WITH FULLY AUTOMATIC .CHANGE ALL SIZE OF MOULD. 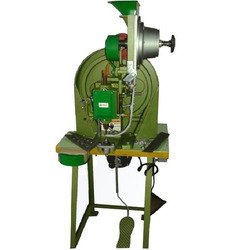 Automatic pneumatic eyeleting machine for setting large eyelets-with washers if required. Powerful cutting action gives positive setting all types of material. Simple and fast adjustment to cutting and setting pressures.